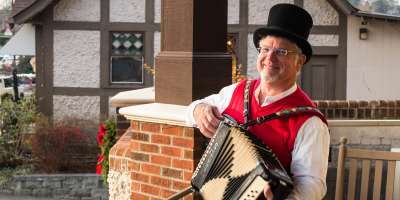 A beautiful historic district in Asheville transforms during the holidays, transporting you back in time to the days of Charles Dickens and A Christmas Carol. 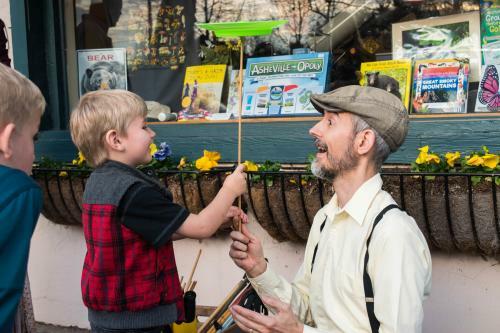 On the first weekend of December, Historic Biltmore Village takes on new life as a quaint Victorian town for the Old World Dickens in the Village Festival. Biltmore Village is a unique shopping and dining destination in Asheville, located just outside of Biltmore Estate and just two miles from downtown. 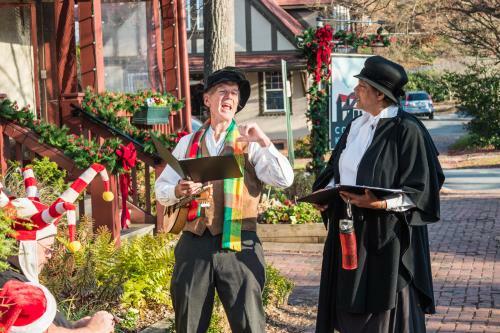 The Dickens in the Village festival is an immersive holiday experience featuring performances by strolling carolers, actors and musicians dressed in Dickensian era costumes. As you stroll the brick-lined streets of the Village during the festival, pick up freshly roasted chestnuts or hop on a horse-drawn carriage ride. Each year, this Asheville holiday tradition features a tree lighting ceremony on the Village Green. To go with these lights are beautiful white lights outlining the historic buildings and streetlights throughout the Village, which all combine to create a magical atmosphere. The Dickens Festival is expanding in 2018 with the addition of an enhanced light display. The new Local Lights holiday display in Biltmore Village will be designed by the same team that creates the wildly popular Winter Lights at the North Carolina Arboretum. 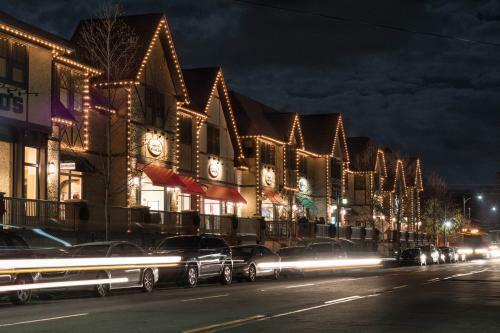 The new lights will feature large 3-D angels and stars hanging across Biltmore Village Streets. The Local Lights display is a partnership between the Buncombe County Tourism Development Authority (BCTDA), the North Carolina Arboretum, the City of Asheville, the Asheville Downtown Association and the Historic Biltmore Village Association. Also new this year, is "Mugs of Merriment," a free tasting event and hot drink contest featuring local restaurants! Sip these delicious drinks and vote for your favorites at this event presented by Blind Pig Supper Club. And, stroll the new Show and Tell Pop Up Market slated for Friday. This village-style market will offer local crafts and gift items. Roots and Wings School of Art and Design will have crafts for kids and wreath-making classes. 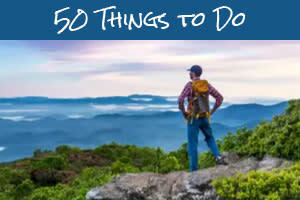 On Saturday, enjoy performances by the roving acts. As you enjoy the festivities, head inside the warm and welcoming shops to discover unique finds for each person on your list. Biltmore Village offers a collection of retailers which include everything from local merchandise stores to high-end boutiques and international retailers. During Dickens in the Village, many of the shops stay open late. 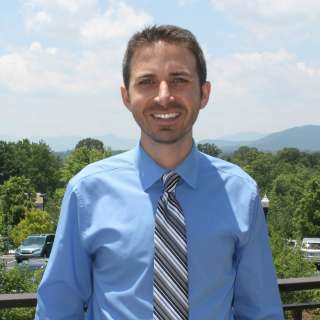 Biltmore Village is also home to highly-sought and diverse dining experiences. 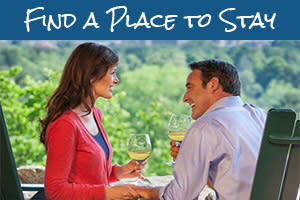 And, it’s home to outstanding accommodations from luxury hotels to family-friendly lodging. Parking is available along the streets in Biltmore Village and in surface lots. Festival organizers recommend parking in the garage next to Williams and Sonoma. The garage is located on Brook Street.